Summer is the perfect season for enjoying warm weather and longer days, but it also provides an opportunity to enhance your academic skills. Hundreds of courses are available, on-campus and online, and in a variety of subject areas. At North Carolina Central University, the Summer Semester offers a smart strategy for obtaining your degree in the recommended four years. Plan to earn academic credits in three stages: 1-Fall, 2-Spring and 3-Summer. 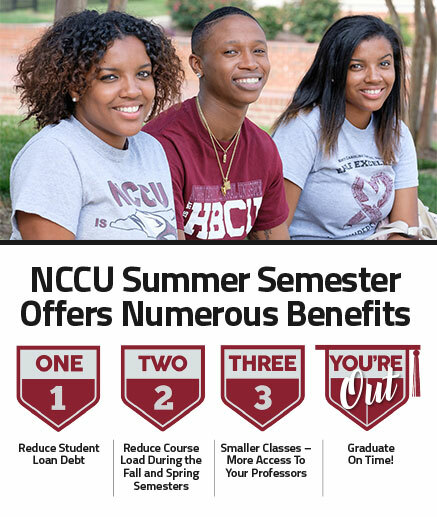 If you incorporate the summer semester while enrolled at NCCU, you will graduate on time – and may even complete your degree earlier than anticipated. Complete the online application and select Visiting Summer Only. Please allow 48 hours for processing all applications. Plan ahead to earn academic credits in three stages: Fall, Spring, and Summer. 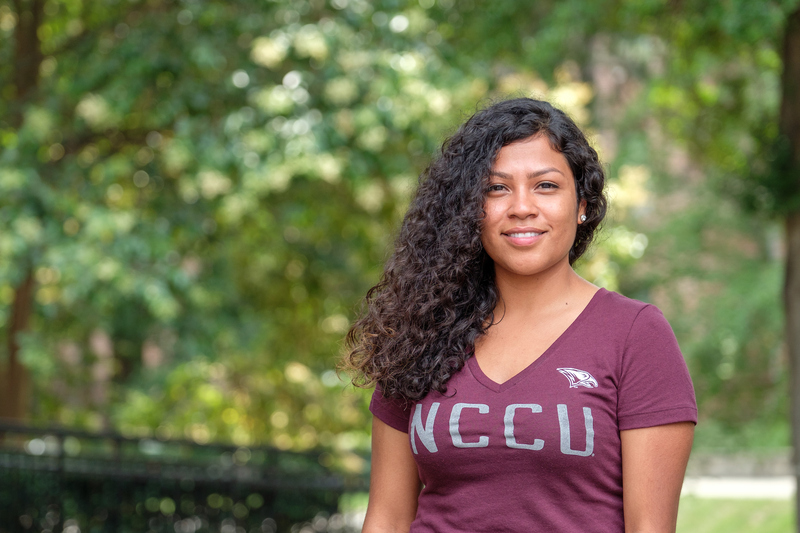 If you incorporate the summer semester while enrolled at NCCU, you will graduate on time – and may even complete your degree earlier than anticipated. Classes are offered in four-week sessions. The reduced course load in the summer allows you to focus your attention on a particular class. Summer is a great time to complete an internship or research project, without taking time away from classes during the fall or spring. Get a global experience during the summer with a study abroad experience. Class sizes are typically smaller during the summer, increasing student-professor interaction. Take advantage of more individualized attention from your professor and more engagement with your classmates. Students who attend summer classes often graduate with less debt. Summer is a great time to catch up! Many prerequisite and general education courses are offered during the summer semester. Work ahead or lighten your load for the fall or spring semester. Credits earned during the summer can help you graduate a semester or even a year early.